Like most people, now that the weather is chilly I find myself craving rich comfort food dishes – soups, casseroles, pot pies, you name it. That being said, I have also had a strange craving for s’mores. Weird, I know… this is a definite summer time treat. I think following our first real cold snap I realized that s’mores over the bonfire would have to wait for several more months. While not a fun thought, this realization nevertheless inspired these s’mores bars. 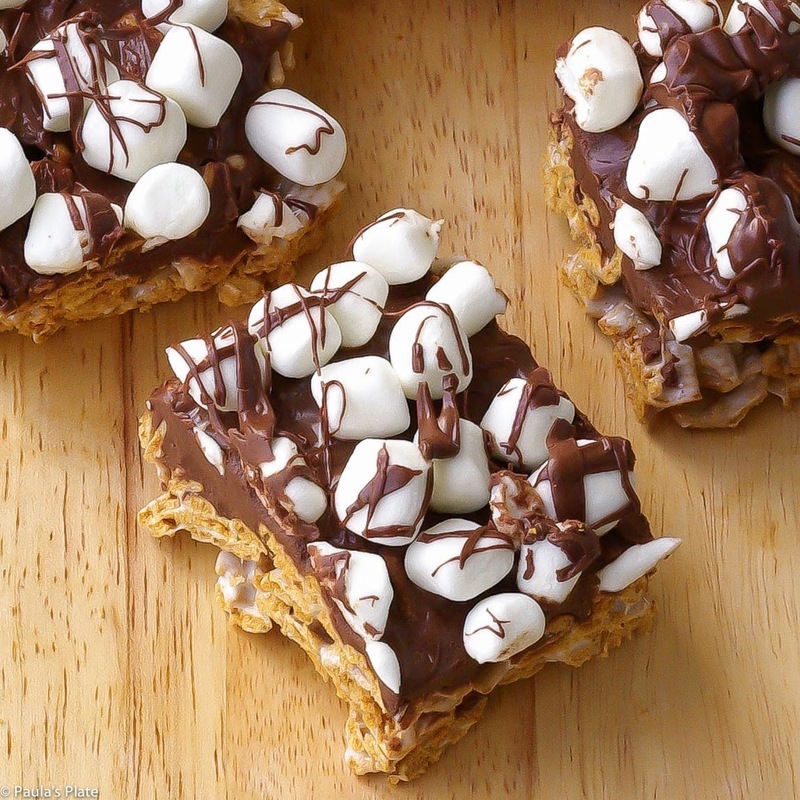 You see, just because bonfire s’more season has passed, that does not mean that I cannot satisfy my craving for chocolate, graham cracker, and marshmallow goodness. Now I just enjoy it in bar-form instead. 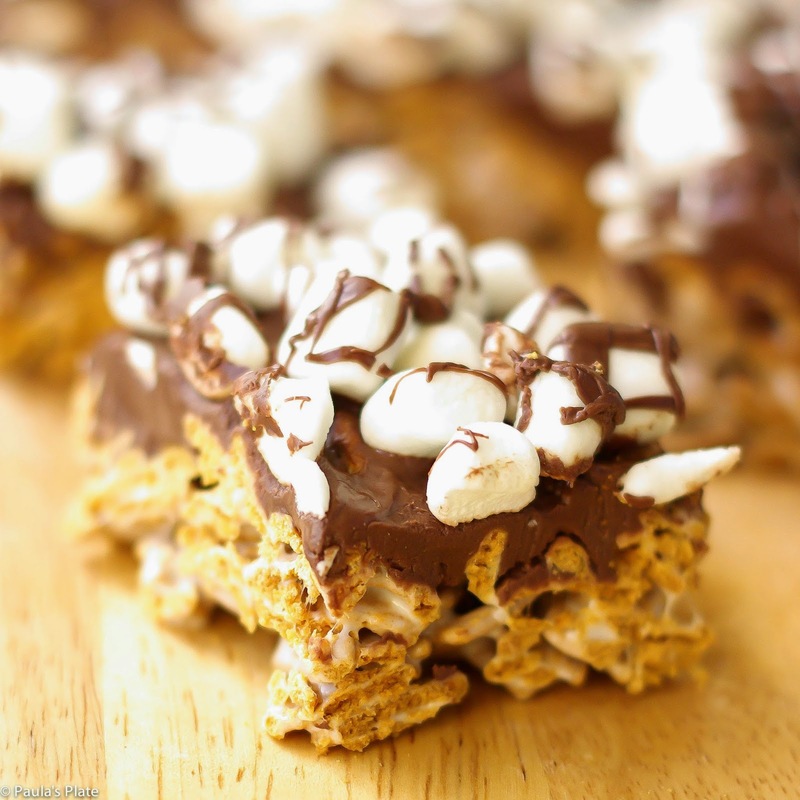 Giving the original s’more a run for its money, these s’more bars are deliciously ooey and gooey without all of the mess. Have you been craving any random summer treats yet or fall still too novel for you? Let me know below! Line a 9×13 baking pan with aluminum foil and spray with cooking spray. In a large saucepan melt butter over medium-low heat. Add 4 cups marshmallows to the pot (reserve the other 2), stirring, until fully melted. In a microwave safe bowl, melt the chocolate chips. Microwave at 30 second increments, stirring after each one, to avoid burning the chocolate. 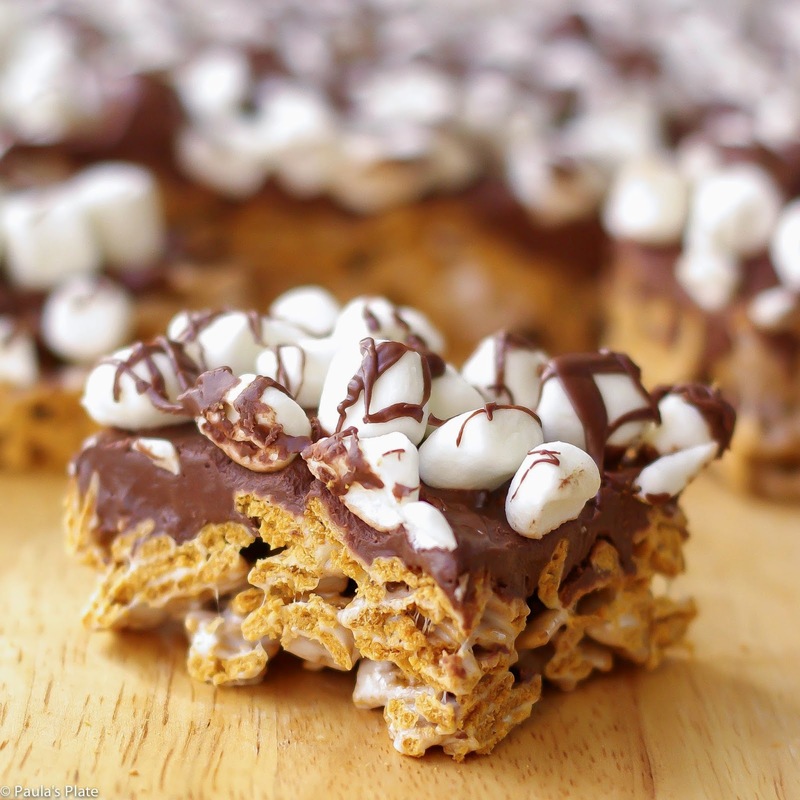 Pour the majority of the chocolate in the pan and spread in an even layer over the golden grahams. Reserve about 1/4 cup. Sprinkle the remaining marshmallows over the chocolate and press down firmly. Drizzle the remaining chocolate over the top of the marshmallows and allow to cool.